Demi Lovato calls out Instagram for allowing fat-shaming ads on her feeds. 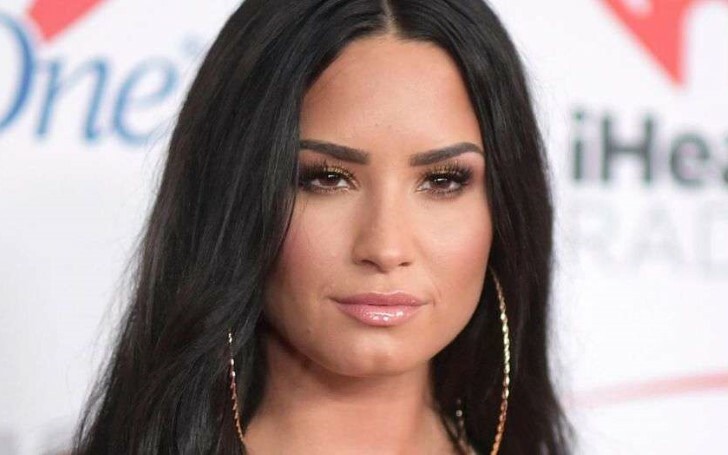 American singer-songwriter Demi Lovato is slowly making her way back onto social media as she continues her rehabilitation from an overdose back in July 2018. Meanwhile, Lovato is often recognized for her bold nature. She is not afraid to use her voice and platform to call out things she takes issues with especially when it's related to the body. 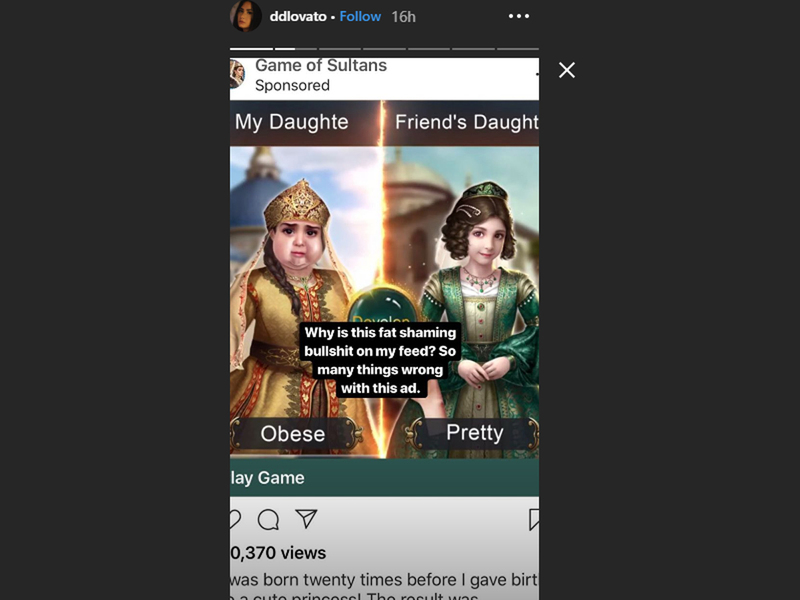 Demi is troubled with a fat-shaming video game ad that popped up on her Instagram feed. The 26-year-old singer called out the photo application and the creators of the game on her Instagram story. “This is absolutely harmful to anyone who is easily influenced by societal pressures put on us from the diet culture to constantly be losing weight in a world that teaches us to equate our value and worth with the way we look and especially anyone in recovery from an eating disorder. Especially when eating disorders are all about control.’"
Demi also shares several pictures of her body in hopes to increase body positivity and inspire women to feel great about themselves. The singer who largely remained out of the public eye amidst her treatment is spending some quality time with rumored boyfriend Henry Levy, whom she met during a previous rehab stint. Demi Lovato who struggled being hospitalized for a near-fatal drug overdose is now back on social media increasing high hopes and self-confidence among all her well-wishers.